Case studies are an important part of every piece of research. College students gain a lot of theoretical knowledge but it would be futile without being applied to real situations. Case studies turn out to be kind of tests which prove that the students working on them are skilful enough. A case study is such a piece of research whose object is a real situation, process, phenomenon, personality, etc. Case studies can be used in various academic fields such as: sociology, psychology, art, business, and so forth. However, they are widespread in Social sciences and Humanities. As a rule of thumb, Natural sciences do not need to carry out such research. We have a case study only where a given situation is observed according to a pre-formulated plan including goals, processes to be observed, and expected results. This means that a case study is always conducted with given goals in mind. There is still a difference between it and an experiment: a case study involves observation; an experiment indicates direct influence of the one conducting it. Thus, in the former case the researcher is passive, and in the latter case - active. A wide definition of the topic and scope - this definition will be narrowed down later. An institution (or community, or a place) where you can carry out your research. Elaborating a detailed plan of the research. Preparing theoretical framework of the research. Work on a topic you are familiar with. Let’s say the topic is related to the field of Psychology and the title of the particular research reads as follows: “Youth volunteering and cognitive skills: factors and regularities.” The difference between the topic and title is little: the title only formulates the topic in a clear and concise way. Stay in touch with your professor throughout the whole process of researching and writing. They will give you useful pieces of advice on how to elaborate your theoretical framework and how to do your research. It is recommended to meet them personally and not only communicating via e-mails. If you are not so experienced in the field, you can start with some comprehensive encyclopedias or textbooks of cognitive psychology. Make yourself familiar with the fundamental terms and conceptions in the field. Then you can turn to articles or monographs on the exact subject of your research - the best way to find them is by using on-line databases (for example, ERIC). While reading, do not forget to note down the important theses, ideas, experiments which you can refer to in your research. It is recommended to read about other case studies in the field. The theoretical framework is the basis upon which you want to “build” your conception. In spite of the fact that you must start with a terrain research, you still need to have some basic understanding of what you want to examine and what to expect. This is like basketball: you cannot merely go to the sport arena and watch a basketball game. You must know the rules in order to understand the game! Your hypothesis is the first thing you should figure out. Then think about your methodology and expected results. Try to compare your research with other pieces of research done earlier. It can be carried out at different places: institutions, communities, and even individually. If you want to do an interview with volunteers, you need to plan and organize it according to some rules. For example, it is good if you have some time (two or three days) between the interviews. Always take into consideration the difference between qualitative (more detailed) and quantitative (done only for more general data - gender, age, education, etc.) survey. If you visit an institution, then you must be careful with what you are doing. Your hosts must know the goals and methodology of your research. Once the research is finished it is recommended to provide them with the results of it. Let’s repeat again: everything is a matter of organization and precise planning. You must adhere to the schedule and methodology elaborated by you. Perhaps you think that an outline is not necessary. You already have your theoretical framework and action plan. However, you miss one thing: after the local research you need to re-formulate your hypothesis, methods, observations, and conclusions. In short, you must interpret the data you have gained; this can be done easily by writing a comprehensive case study outline. It will consist of all assertions proved or repudiated by the observation. Prepare your list of references. It is recommended to start filling it with the beginning of your preliminary research (see section 5). The bibliography must be formatted according to the required academic standard - in this case APA. Forrester, M.A. (1992). The Development of Young Children’s Social-Cognitive Skills. Hove (UK): Lawrence Erlbaum Associates Ltd. Title: Youth volunteering and cognitive skills: factors and regularities. Introduction: Volunteering is an important part of the development of young people. The social aspect of this activity is unquestionable. What’s interesting are its cognitive dimensions: do young volunteers develop their cognitive skills and what are the factors for it? Theoretical framework: The current research is based upon the theory of Dr. X who claims that the cognitive effect of volunteer activities is related to the form of activity and the period during which the person in question is active. This is the point of departure of our hypothesis. We should also add that… (explanation follows). Place of research: In order to prove the hypothesis we did a local research at three different institutions: a community center, a medical center, and a daily care center for disabled children. Methodology: The volunteers examined by us were of age from 15 to 18. They were chosen according to their grades in school (with average score). Interpretation of the research: The local research showed that the place of activity is not important for developing the volunteers’ cognitive skills. The only factor which matters is their motivation to learn. Still, there are some slight differences in the way the volunteers learn in these three institutions (a review of the differences follows). We observed also (here you add other interesting observations). A case study paper should include: title; intro; theoretical framework; place of research; methodology; data gained during the research; and interpretation of the research. Don’t forget to check your case study paper at least two times: the first time for consistency and internal logic, and the second time - for grammar and spelling check. Give it to one of your colleagues for an objective opinion and listen to their advice - it is always good to listen to other people. 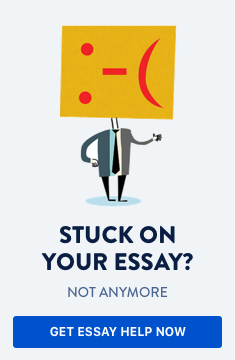 Do you need help with writing a case study paper?